This is possibly the first rhyming prototype [grin]. 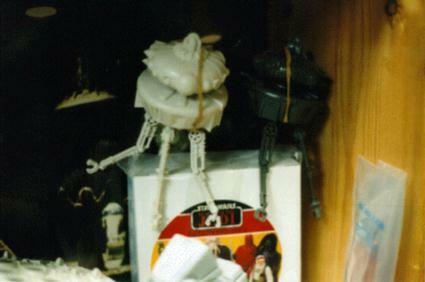 This particular piece is cast in an off-white color of plastic and is poised alongside it's production counterpart on top of a JC Penny figure multipack. Rubber bands are being used to keep the heads on.